Students should note they must apply for admission to the University before they can be considered for a Reach Oxford Scholarship. The University is unable to consider any scholarship applications from students who have not been offered a place at Oxford. The University is not responsible for the content of external sites advertising the scheme and would encourage applicants to read the following details to check their eligiblity.A number of Reach Oxford scholarships (formerly Oxford Student Scholarships) are offered to students from low income countries who, for political or financial reasons, or because suitable educational facilities do not exist, cannot study for a degree in their own countries. You must first make an application to the University through UCAS and be successful in gaining a place. You will then need to complete a separate scholarship application form. 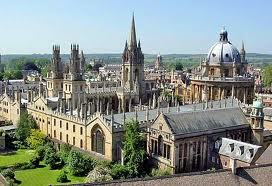 Demikianlah informasi mengenai Reach Oxford Undergraduate Scholarships, University of Oxford, UK semoga berguna bagi anda.